For one day, RM Sotheby's went all Porsche, all the time. The 993-series GT2 was perhaps Porsche’s ultimate roadgoing 911 in its day. 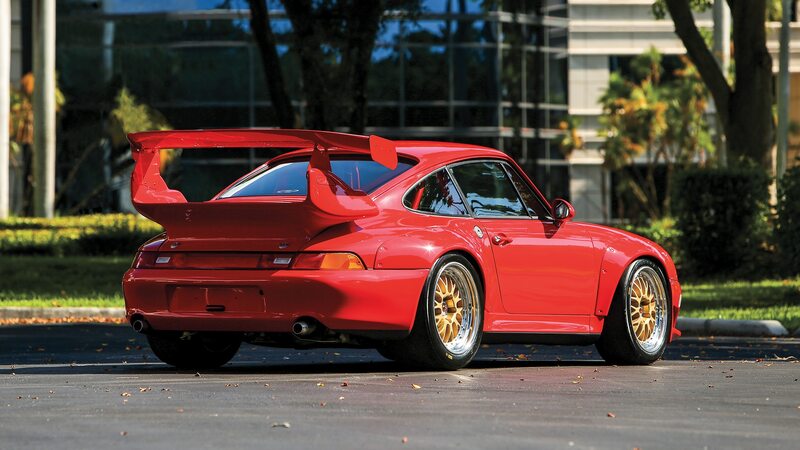 Based on the 400-hp 911 Turbo, the GT2 ditched the Turbo’s all-wheel-drive setup for rear drive and used a larger 3.8-liter engine. This Club Sport version was the homologation special for racing, one of just 33 produced with a fuel cell, roll cage, larger turbos, more aggressive cams, and other modifications that pushed output to more than 460 horsepower. It was the hot ticket in 1990s GT road racing, but with limited race history, this particular car couldn’t muster much more than half of its $1.2 million high estimate. 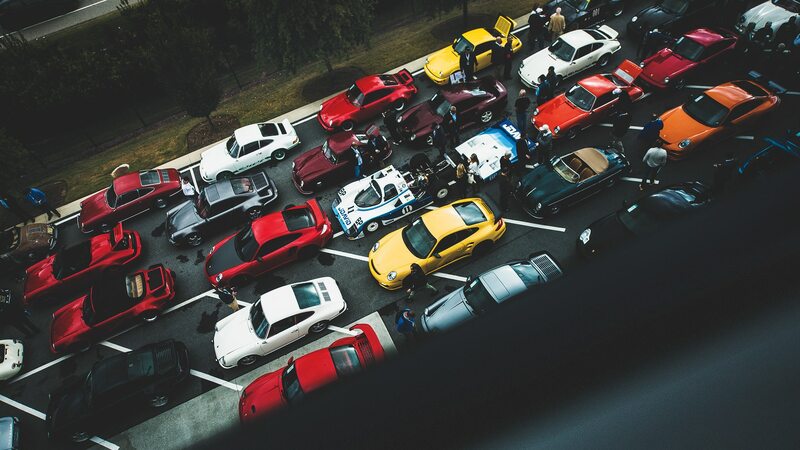 Still, it was well bought and should equal an instant invitation to on-track fun at the next Rennsport Reunion gathering. 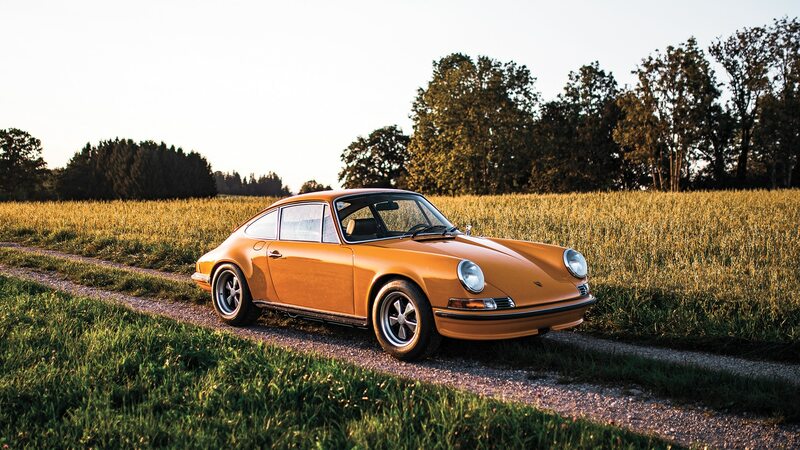 Ask most Porsche junkies to name the ultimate street 911 and the response is likely to be the 2.7 RS homologation special built for the 1973 model year. This is the second of nine prototype models Porsche used for development; as a result, it lacks the iconic “ducktail” rear spoiler and RS badging of later prototypes and production cars. But as an important and rare development car, the price seemed fair. No, that sale price is not a typo. One bidder in the auction room felt compelled to pay more than 50 grand for a lowly, Audi-powered 924. 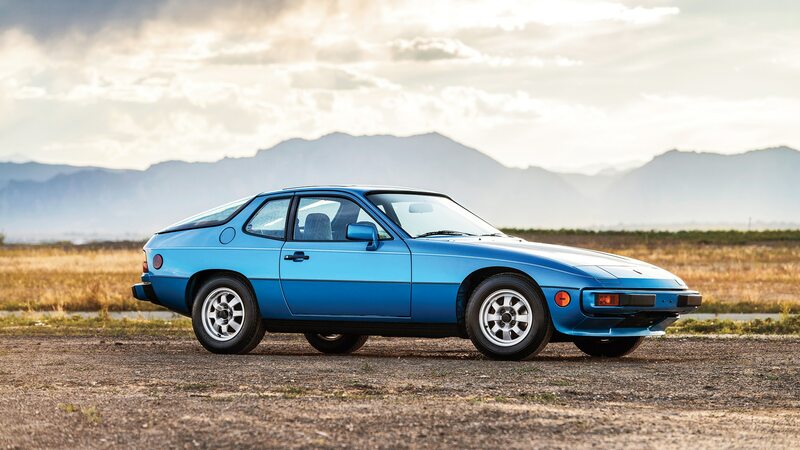 Built in the days when the words “water-cooled” and “front-engine” were heresy to Porsche devotees, the 924 ushered in a new era of user-friendly, entry-level P-cars. This is arguably the best survivor left, with just 11,000 miles on the odometer, but the new owner is still going to have lots of ’splainin’ to do at most Porsche club gatherings. 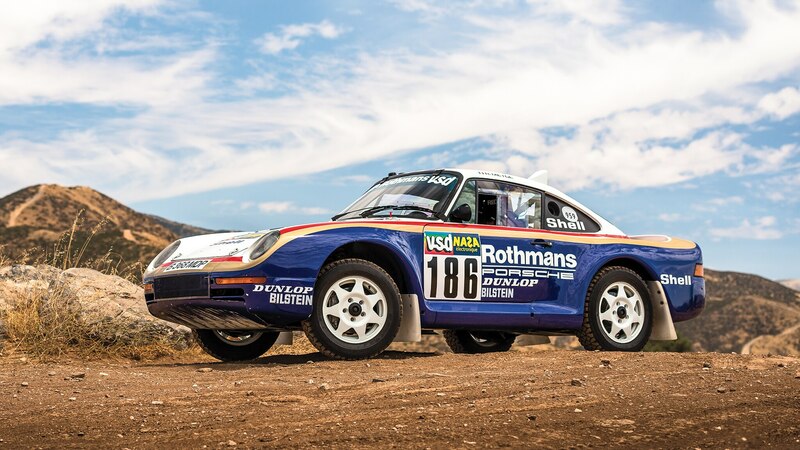 In the mid-1980s, as part of the development program for its upcoming technological tour de force, the 959 supercar, Porsche campaigned several prototypes in the grueling Paris-Dakar Rally. This example is one of three that the factory entered in the 1985 event and is one of just two cars of its type to ever leave Porsche factory ownership. Based on the 911 SC road-car chassis, this 959 ran a naturally aspirated 3.2-liter engine based on the contemporary 911 Carrera’s, Porsche’s prototype all-wheel-drive system, and a heavy-duty suspension. Although this car (chassis No. 010015) won two stages, it failed to finish the rally. 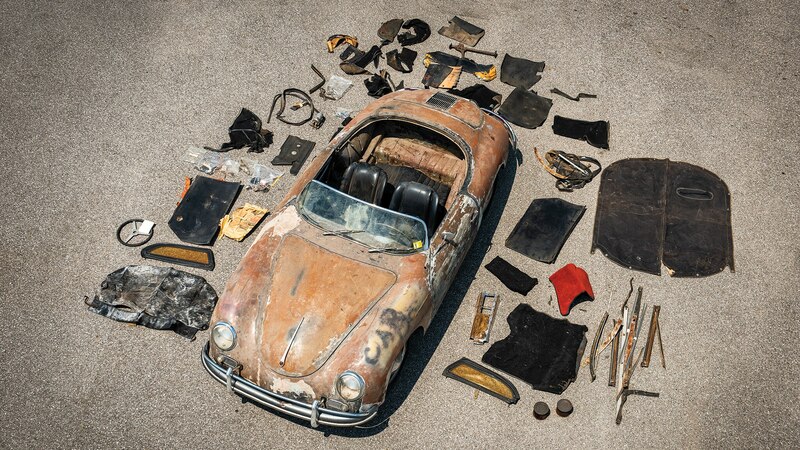 This barn-find Speedster sailed past its $150,000 high estimate, likely due to it being the higher, 75-hp Super spec and having a large degree of completeness. The 1.6-liter flat-four engine, transmission, and top frame are all said to be original. Matching-numbers items and the car’s overall patina had dreamers and nostalgic bidders alike swooning. A nicely presented, matching-numbers, and ready-to-drive ’56 Super Speedster sold later in the auction for $494,500, which is undoubtedly less than the ’58’s buyer will have into his prize once it’s been restored. 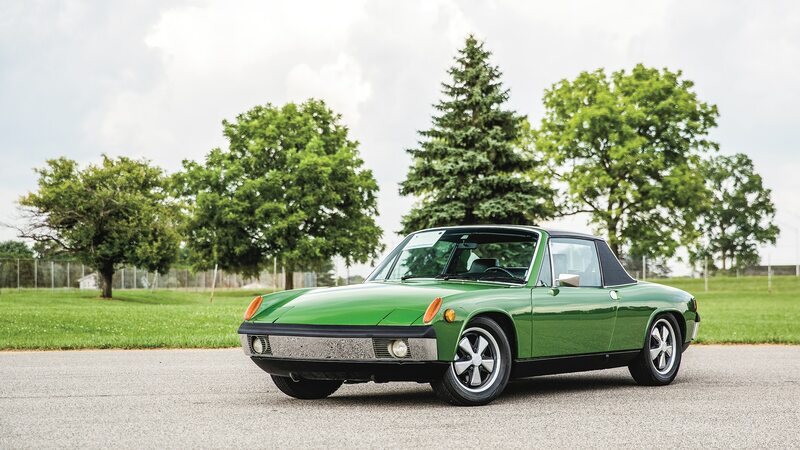 Enthusiasts of a certain generation all have a Porsche 914 story, and most of them include the word “Volkswagen.” The 914 was VW-powered, but the 914-6 had an honest-to-goodness 2.0-liter flat-six tuned to 911 T spec for about 110 horsepower. Because of their entry-level reputation, polarizing styling, and high price (nearly as expensive as the 911), just 3,300 914-6 models were sold, making them tough to find and fairly desirable today despite once languishing for decades. The price here was market-correct for a strong example, but the car doesn’t have much appreciation potential left. The 997 GT3 was a true high-water mark for the Porsche brand, as it delivered performance on par with the best entry-level exotics while sticking steadfastly to certain Porsche-isms, namely a rear-mounted engine and a standard manual gearbox. 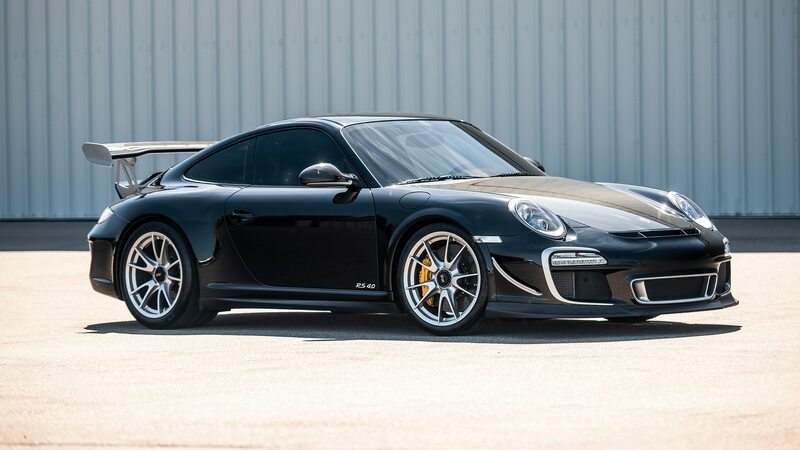 The ultimate evolution was the GT3 RS 4.0, with a bump in displacement and other modifications from the standard 3.8-liter car that pushed output to 493 horsespower at 8,250 rpm. Just 600 were built. This was an ex-Jerry Seinfeld car and the last GT3 RS 4.0 off the production line, both likely factors in its 15 to 20 percent boost in price.